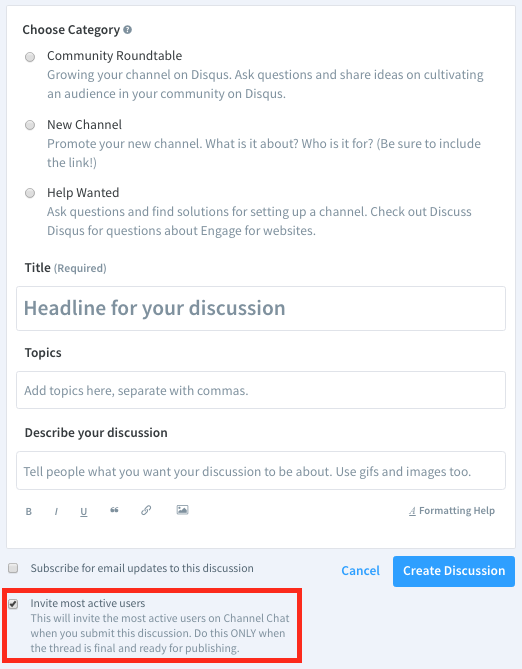 Create a discussion by clicking the "Discus" button on the main channel feed, any discussion page, or at the top right of any page on Disqus. 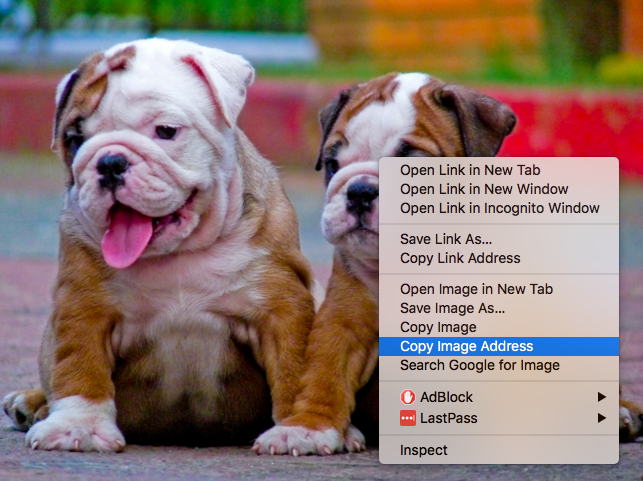 Find an image, and copy the image URL. The link should end in .jpg or .png. 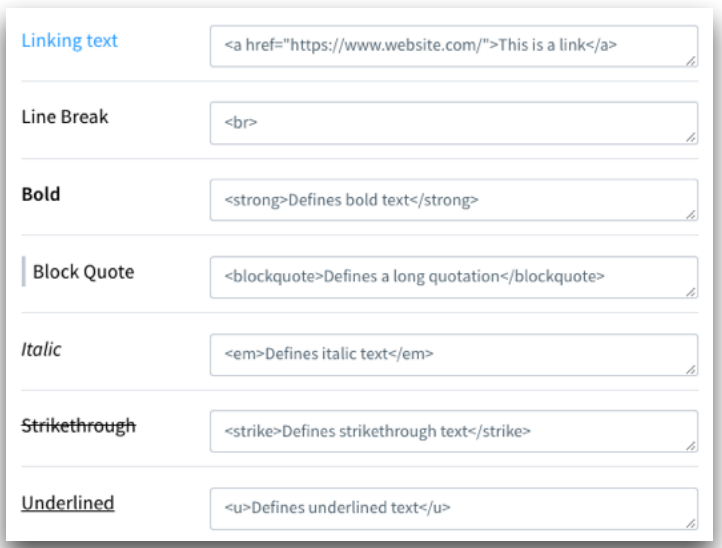 Text can be formatted in a variety of ways using HTML. (If you need help, these HTML and Image formatting tips are found on the Create Discussion page). Moderators have the ability to invite channel members to a discussion. 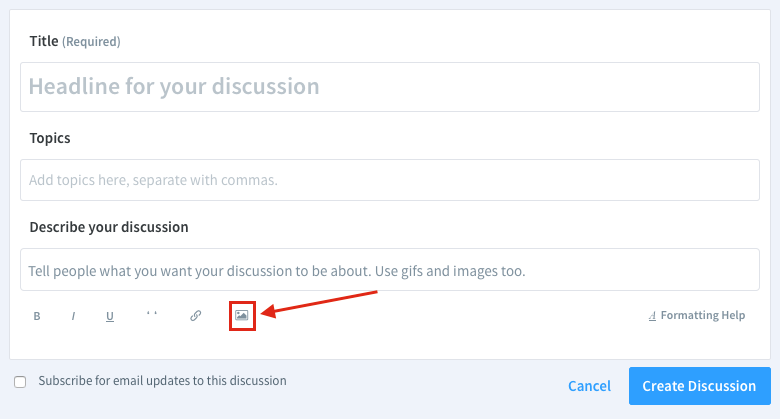 To do so, check the box to invite the most active users to your discussion. This helps get things started! If you're looking for more information, check out our article on Discussion Invites! When you start a discussion, you have the option to receive email notifications for new comments (see above). This lets you know when it's time to join in. Recommending a discussion shares it to your followers. You should recommend every discussion you start! Sharing your discussion to your social media channels (Twitter, Facebook, etc.) will encourage others to join in. 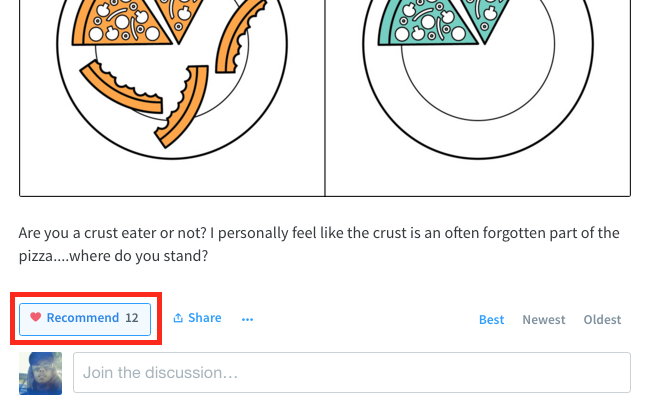 To find discussions that you've created, simply go to your profile (you can click on your avatar at the top right of any page to navigate there) and click on the "Discussions" tab.